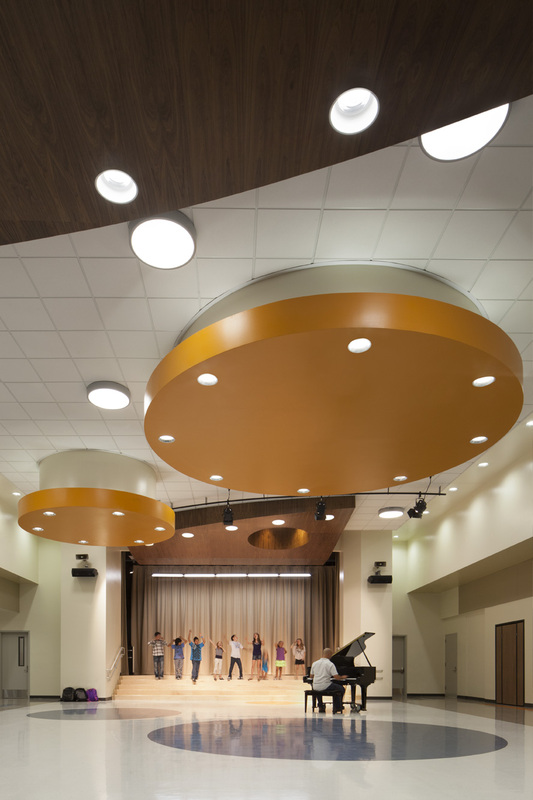 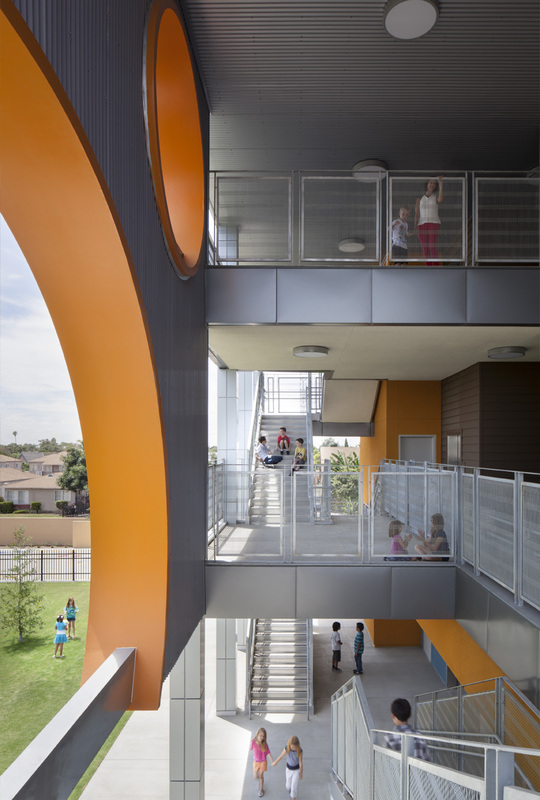 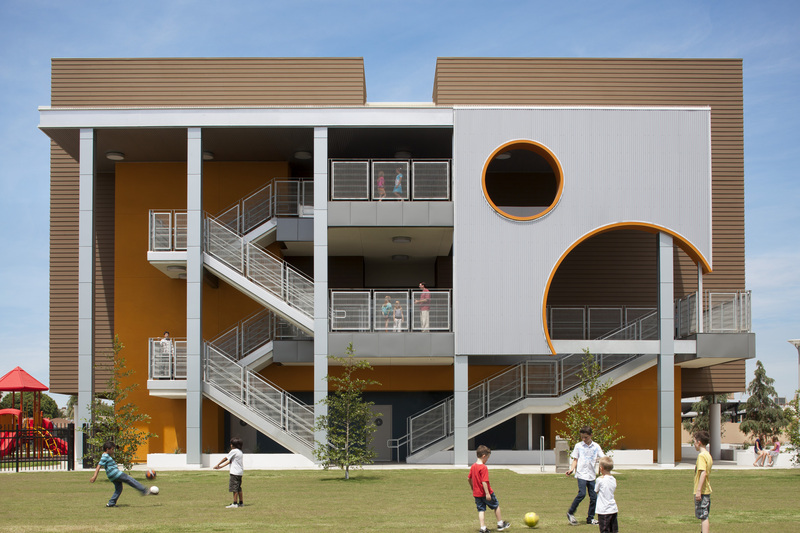 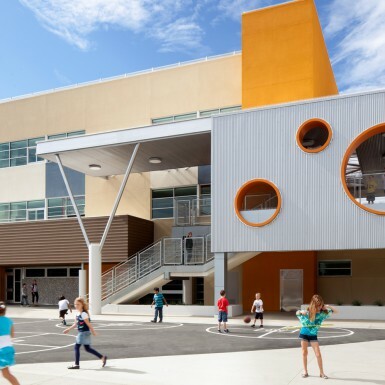 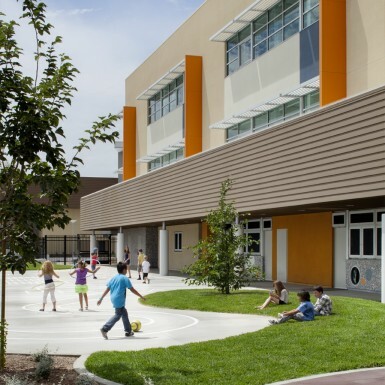 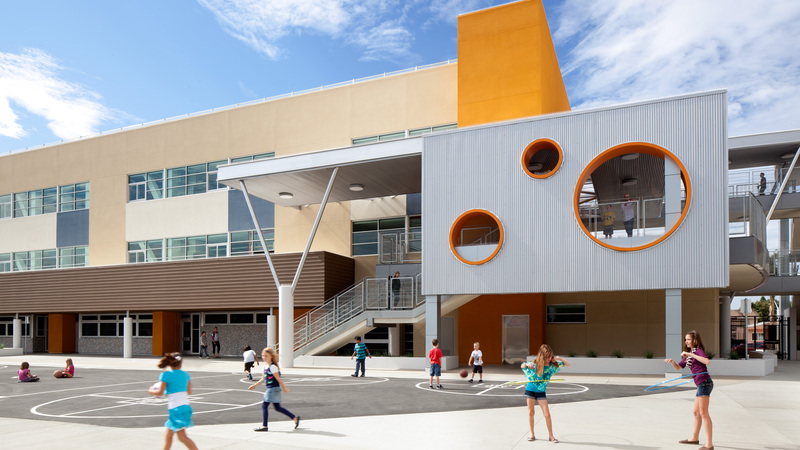 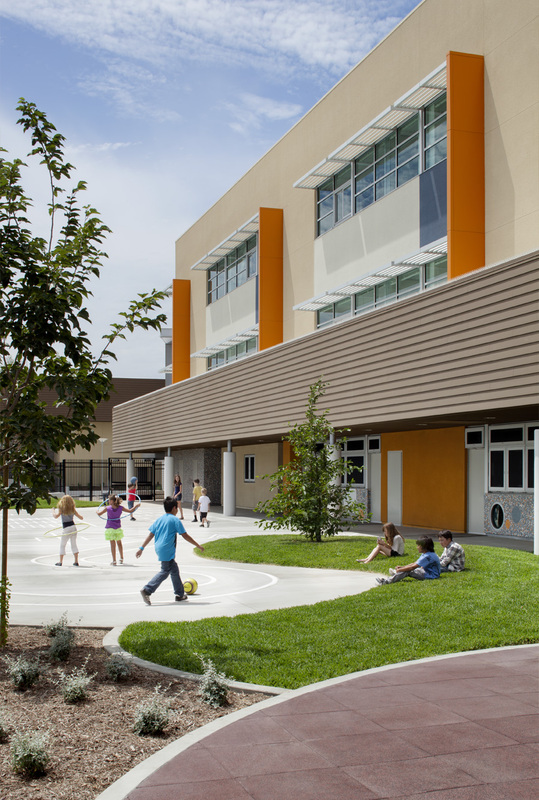 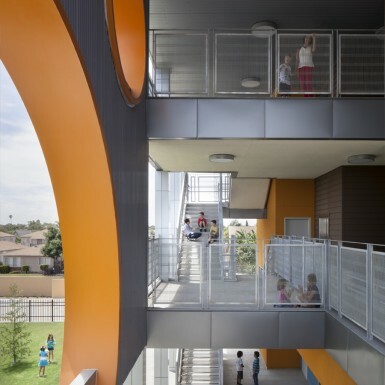 The New Campus was led by three key initiatives; to maximize playground areas on an urban site; to minimize traffic congestion; and to provide security while retaining a welcoming aesthetic. 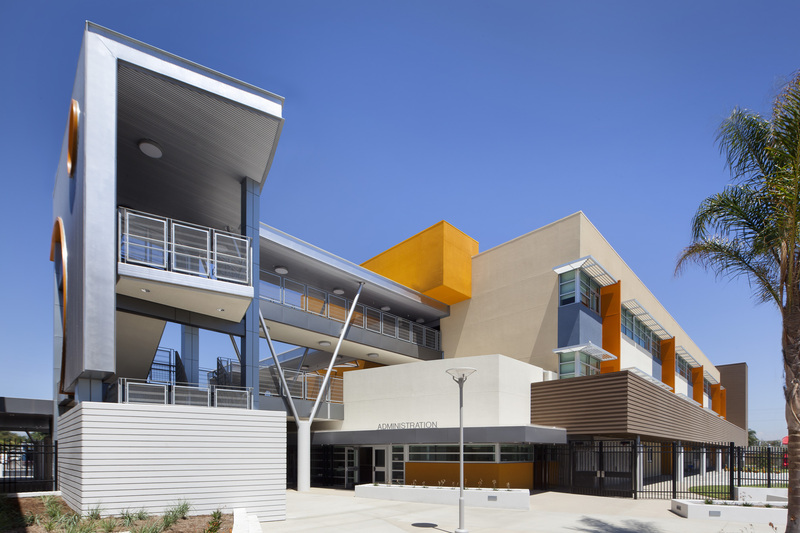 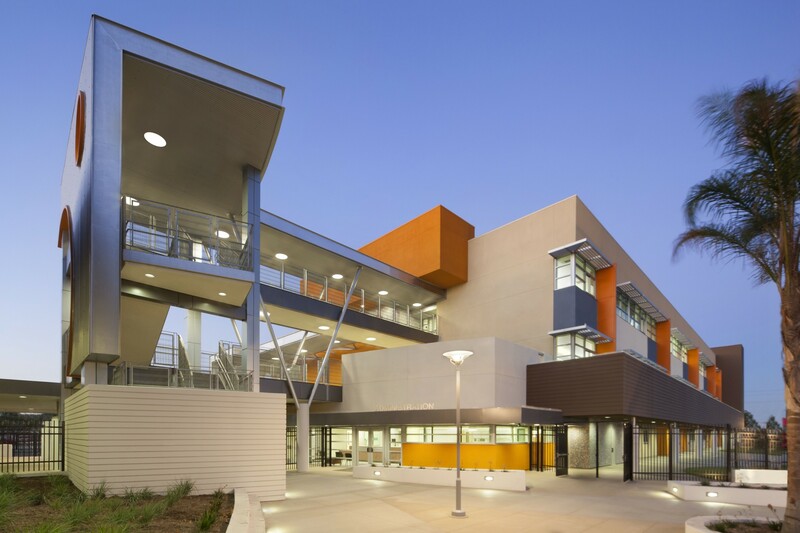 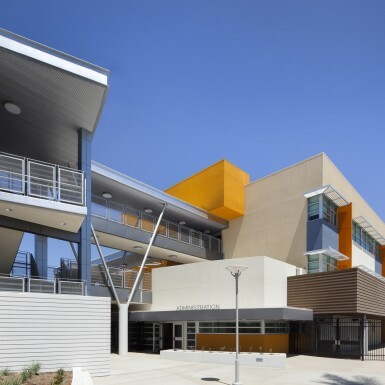 The intersecting space between the buildings serves as the main entry to the campus, and is articulated by colored concrete, landscaping, and a multi-level covered bridge element that serves the upper floors of the classroom building. 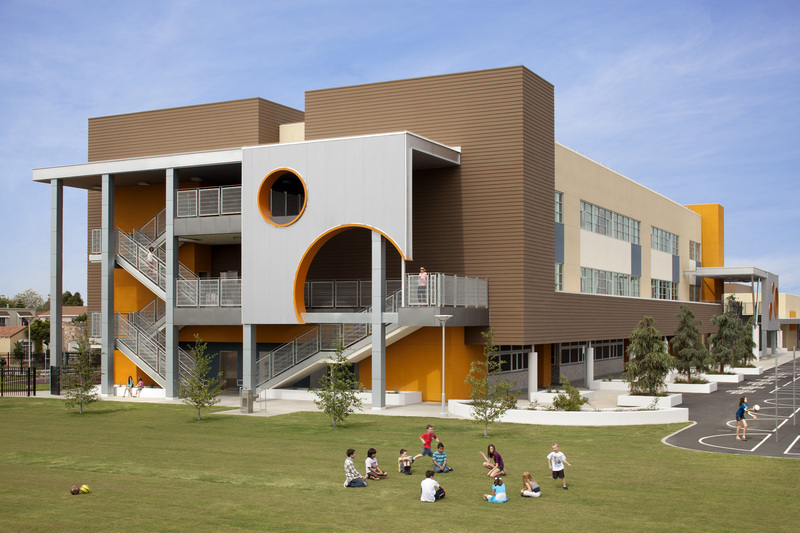 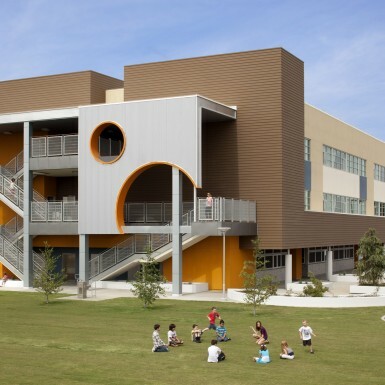 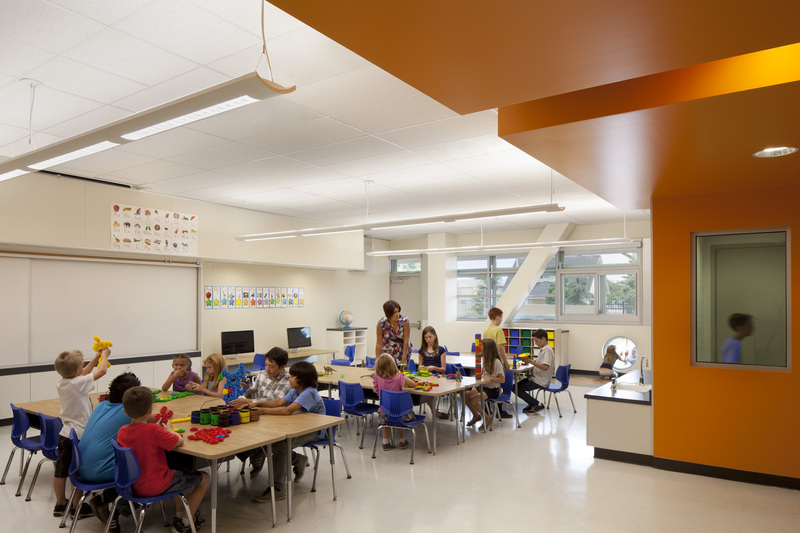 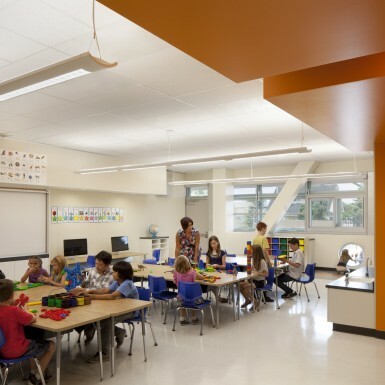 The buildings included Administration, Library, Classrooms, Multi-purpose Room, and a Cafeteria. 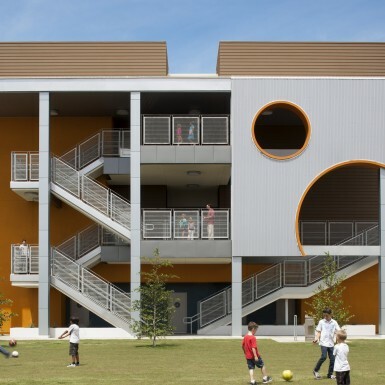 Play fields and surface parking were also added.